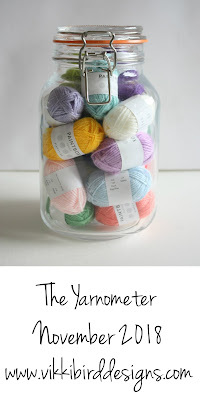 I like knitting in November: the weather is colder, the evenings are longer, and knitting feels more necessary. 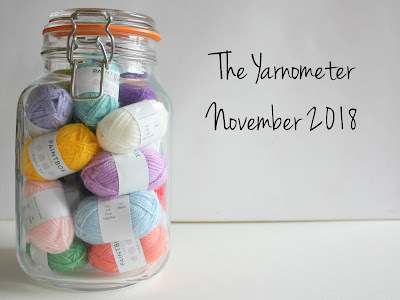 With that in mind, here’s my Yarnometer post for November. Something I'm really excited about! 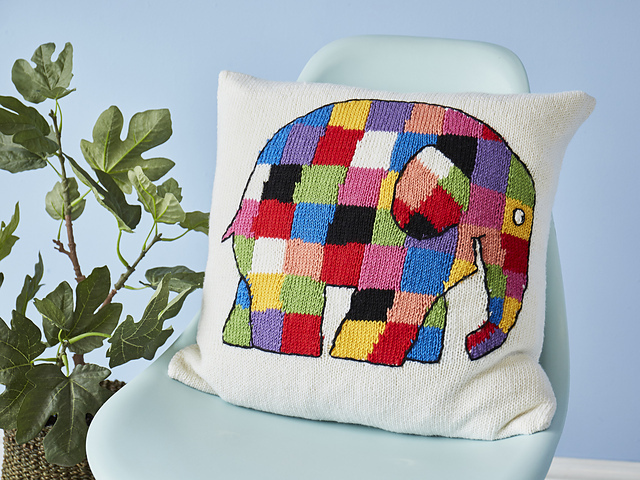 The pattern is available in Knit Now issue 98. These socks were donated to Marie Curie to be distributed to patients at their hospices over Christmas. I had wanted to knit this hat for ages, and when I drew a particular someone for a Secret Santa I knew I hat to knit this hat for her. 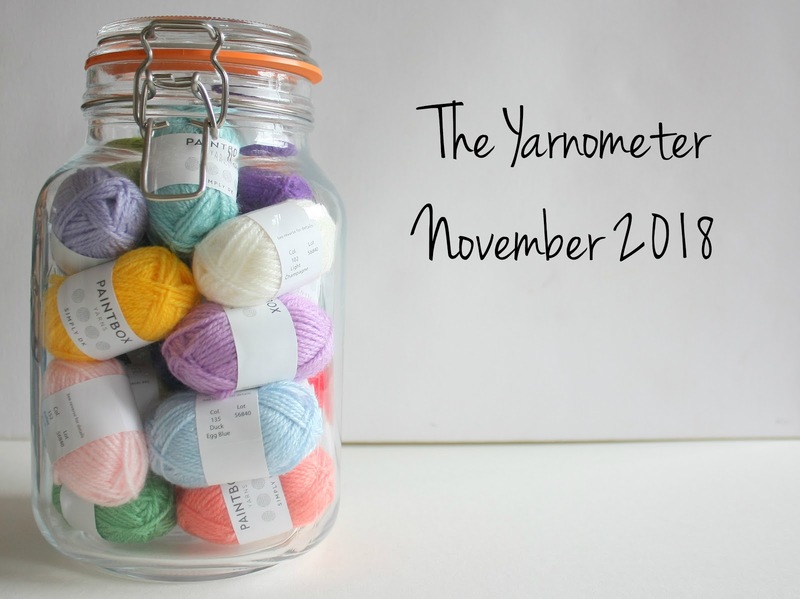 November was a month in which a surprisingly large amount of knitting got done. I figured out how to do intarsia with a baby on my knee (admittedly a baby that was not as wiggly as the one that is currently pulling my hair....), and donated lots of yarn to people who would use it faster than I could manage (the two lots of 78g of yarn both became socks by Christmas, which was lovely to see).